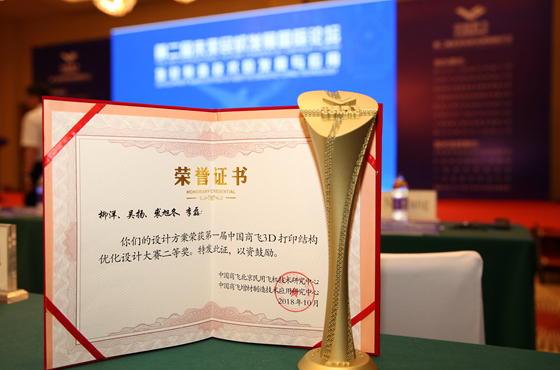 1st COMAC 3D Printing Structural Optimization Contest successfully held__Commercial Aircraft Corporation of China, Ltd.
Site of the award ceremony. The results of the 1st COMAC 3D Printing Structural Optimization Contest were released at the 2nd International Future Commercial Aviation Forum on November, 7th, 2018. The design team of Shanghai Aircraft Design and Research Institute (SADRI) of Commercial Aircraft Corporation of China, Ltd. (COMAC) won the second prize with the topology optimization design scheme. Mr. Wu Guanghui, Academician of the Chinese Academy of Engineering and Vice President of COMAC, attended the award ceremony and presented the award to the winning teams. 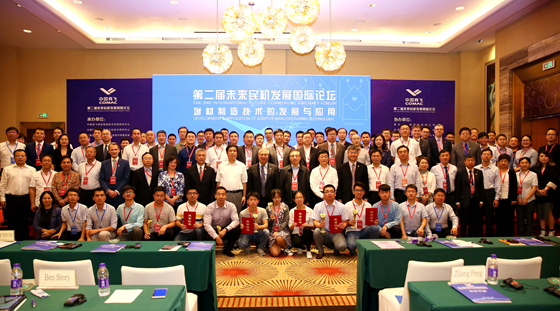 The COMAC 3D Printing Structural Optimization Contest aimed at promoting the application of 3D printing technology in commercial aircraft, explored 3D printing optimization design methods, and jointly promoted the progress of 3D printing technology. The contest lasted for 5 months. Forty-four domestic and foreign units were attracted to enter for the contest and 35 works available for the contest were submitted. The review experts judged the entries from the following five aspects, i.e. structural weight, manufacturing costs, rationality of design and manufacturing, design innovation and quality of reports. In the end, one first prize, two second prizes and three third prizes were selected. Leaders from domestic and foreign governmental organizations, industry alliances, renowned aircraft manufacturing enterprises and scientific research institutions as well as principals of relevant departments of COMAC headquarters and its subsidiary units participated in the award ceremony. The design team of COMAC Shanghai Aircraft Design and Research Institute (SADRI) won the second prize with the topology optimization design scheme.